Fly strike is a painful conditioncaused by live maggots eating at the flesh of sheep.Remedies for this disorder are traumatic, with sheepundergoing painful mulesing and tail dockingoperations to protect against flystrike. In an attemptto find control solutions and to understand thedisorder, Australasian researchers increase sheepsuffering by conducting experiments that artificiallyinduce fly strike. Some of these experiments have noapplication in prevention and control of fly strike.Many others could be modified or replaced with lesspainful techniques. Anecdotal evidence through communication withorganic farmers suggests that fly strike is largelypreventable if farmers keep sheep healthy and inspectthem regularly. Some organic farmers have largelyeliminated fly strike from their farm. Investigationson fly strike control using non-intrusive techniquesare also progressing in Australasia and the UnitedKingdom. 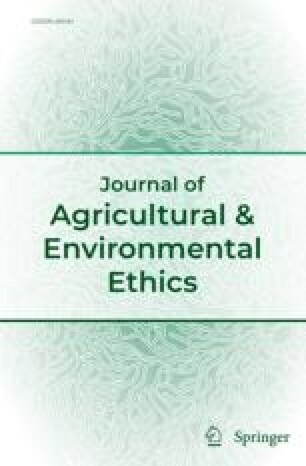 Since it is possible to conduct useful research andto run profitable farms with little or no fly strike,much of the current management, research and policy onsheep farming is ethically questionable even to thoseholding the moderate view that animals can be used forhuman purposes providing suffering is kept to aminimum. Sheep farmers will need to take animalwelfare problems into consideration. Greatercommunication among researchers needs to be encouragedto prevent unnecessary duplication of experiments.International trade regulations will also need toallow trade barriers based on animal welfareconcerns.